The clear version of my Pulsar fidget spinner looks pretty awesome backlit. Pulsar is a professional-quality 3D printed fidget spinner. Its sleek design features three brass counterweights for improved spin times and a high-performance steel 608 ball bearing that provides optimum performance. All of the hardware is integrated into the printed body for a clean finish and exceptional durability. Specially designed buttons hide the bearing and provide an easy gripping surface for your fingers. The buttons also allow the spinner to rotate freely when placed on a flat surface such as a desk or table. This fidget spinner is perfect for anyone who finds themselves clicking their pen, tapping their desk, or otherwise fidgeting throughout the day. Its quiet, satisfying motion provides a nice amount of stimulation that can help improve focus and pacify idle hands. 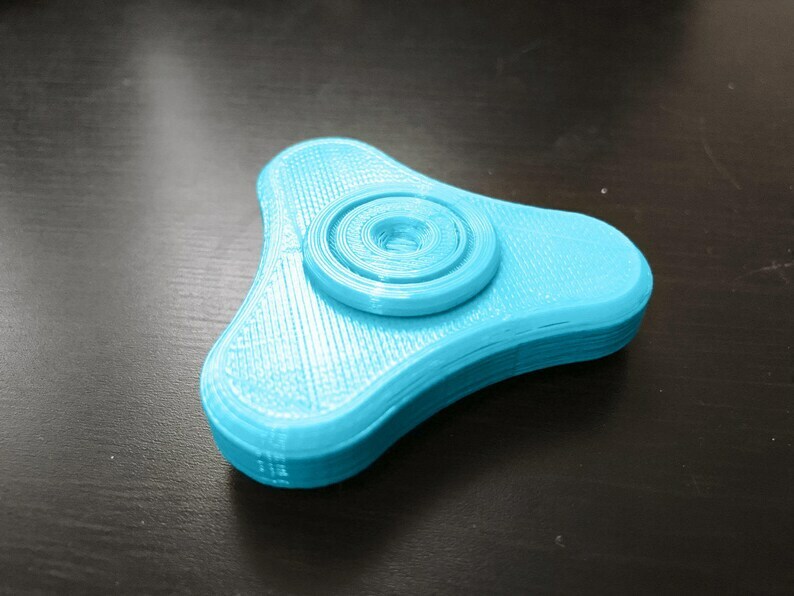 Available in a variety of colors, this is one spinner you'll want to have in your collection.